Jonathan, who serves in the Navy in San Diego, received news that he’s going Home for the Holidays to be with his mom in Texas. Don’t forget to grab tissues before watching this… it will warm your heart. 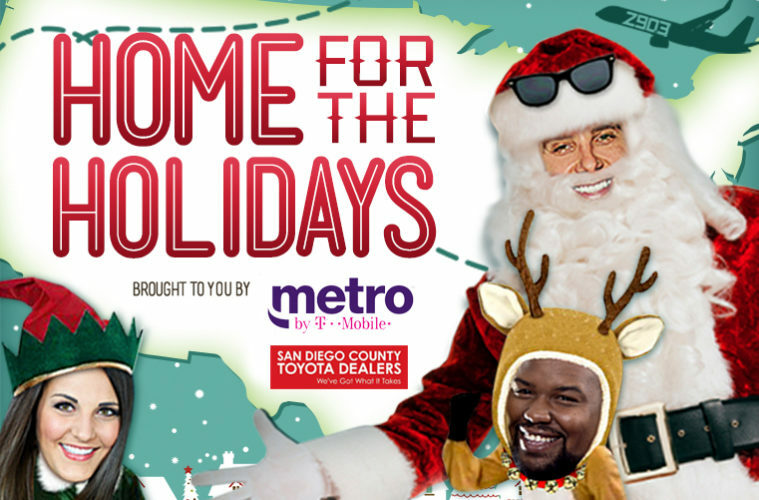 Home For the Holidays is brought to you by Morton in the Morning, Z90, San Diego County Toyota Dealers and Metro by T-Mobile.